Thousands of people across the nation depend on disability payments to survive. Although it would be nice to think of disability as just extra cash, for many, it’s their livelihood. Recipients set their monthly budgets based on the disability payment schedule, and when payments are late, their finances suffer. Age eligibility. There is no minimum age limit for receiving disability. However, after the age of eighteen, requirements for qualification will switch from child to adult. Likewise, at retirement age (60-65), disability benefits will automatically switch to retirement benefits. Credit eligibility. To qualify for disability benefits as an adult, you must first have worked in jobs covered by Social Security in order to develop Social Security credits. Condition eligibility. To qualify for benefits you must be able to prove that you have a medical condition that meets Social Security's definition of disability. Once your claim shows you satisfy the requirements and you receive an approval letter from the SSA, you can plan your budget based on a routine, monthly payment schedule. Disability payments are calculated and directly transferred to recipient accounts every month. Depending on when you were born, the type of payment you receive (disability or supplemental income), and where monthly holidays fall on the calendar, payments are usually scheduled for the first, second, or third Wednesday of each month. Click here for the 2018 Social Security payment schedule. Unfortunately, payments can be delayed or fail to show up altogether as a result of several factors. Outdated record. 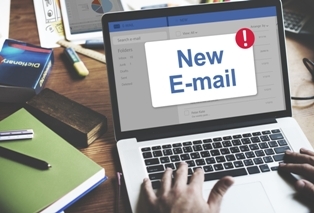 If the Social Security Administration (SSA) has outdated or incomplete contact or claim information, payment may be delayed until the records are updated. Banking errors. If the bank account that the SSA uses to deposit your benefits changes, the SSA may wish to verify the change before depositing the payment. If you fail to acknowledge or report the account change, your deposit may become compromised. Processing errors. The SSA office that handles your disability may become overwhelmed with transactions, experience computing errors, or a host of other unforeseen events. As a result, the deposit processing time may be delayed. The SSA instructs recipients to wait at least three business days after the scheduled post date of the payment before contacting your local SSA office. If your benefits are not in your account after 72 hours from their scheduled deposit date you should call 1-800-772-1213 (TTY 1-800-325-0778), Monday through Friday from 7 a.m. to 7 p.m. for inquiries. If you think your funds have been lost, stolen, or compromised, you don’t have to wait the required three day period. In fact, you should call the SSA office immediately to vice your concerns. For more information on disability claims and payment processing, schedule a FREE consultation with attorney John L. Keefe today. For the past 22 years, we’ve dedicated our careers to Social Security Disability and helping those who need it find financial stability despite their disability. Allow us to put our skills, resources, and experience to work for you. Call us at 508-283-5500 today to see how we can help you. While you wait for your appointment, feel free to download our complimentary report, The Five Most Frequently Asked Questions About Social Security Disability, for more insights into your claim. You never know; what you learn from our book may provide you with additional questions or concerns that you may not have thought of otherwise.